Home » USED COOKING OIL » Why recycle UCO? The correct UCO disposal avoids urban water pollution resulting from the irresponsible and uncontrolled pouring of used cooking oil into municipal drains and sewers. 1 litre of UCO can contaminate over 1.000 litres of water. The accumulation of UCO in sewers and rain systems produces the obstruction of pipes and generates the proliferation of rats, mice and insects in general. The disposal of UCO in septic tanks can generate their waterproofing, blocking the correct absorption of liquids. The used vegetable oil that flow into rivers remains suspended on the surface of the water and blocks sun rays and oxygen from passing through, resulting in an increase of the death rate of aquatic flora and fauna. Allow the treatment and purification of residual water, which can now be reused. Reduce the maintenance costs of sewer systems and drains. Reduce the operating costs of water treatment plants in your province or municipality. Generate alternative energy sources: the use of the residue UCO as an energy source reduces dependency on mineral fuels and reduces the carbon footprint produced by its use in transportation. Cooking oils used repeatedly start developing radicals and acrylamides which are harmful to our health. This is the reason why vegetable oils used for cooking have a limit to its reuse. 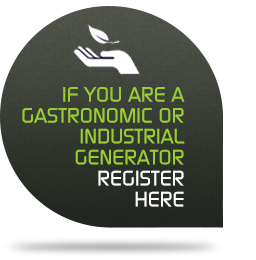 The correct UCO disposal is the responsibility of the generator of that UCO. The different applicable regulations (varies by jurisdiction) imposes procedures and rules that UCO generators, and the companies responsible for its transportation and disposal, must comply with. RBA Ambiental has been authorized to provide the UCO collection and disposal services in every jurisdiction where applicable regulations are in place. .. the correct disposal of UCO allows its reutilization as an energy resource for the transportation industry and that, in this way, this reduces its dependence on mineral fuels and reduces the carbon footprint that this industry generates?